If you’re looking for a fast, fun way to make stunning quilts, then look no further than our All About Precuts class for a perfectly coordinated, time saving option. In this class ZJ Humbach introduces you to this fun fabric innovation. Learn what Precuts are, what advantages they offer, and how you can even make your own. Precuts, while fun, come with their own special considerations. ZJ will help you avoid time-consuming and frustrating mistakes by giving you the tips and tricks for working with a variety of precuts. Learn which ones play nicely together and which ones don’t along with some effective work around solutions. 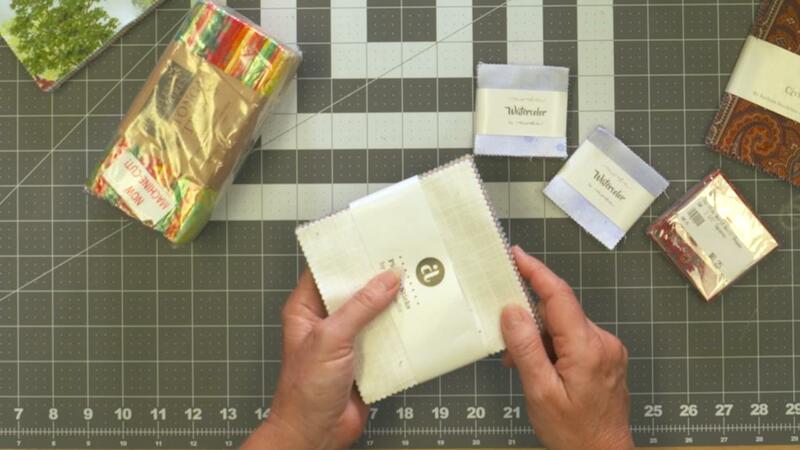 ZJ takes you through some “what if” scenarios and shows you how Precuts can save oodles of time when you are working from patterns in books or magazines that are designed for yardage or fat quarters. 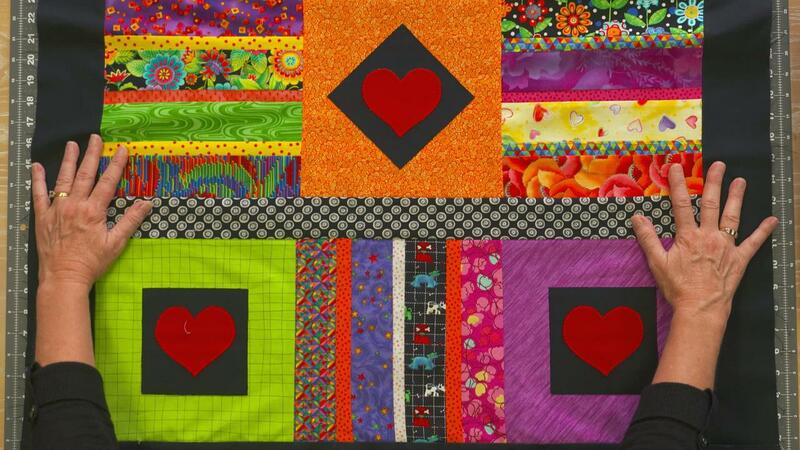 After taking this class you will be ready for our class project: Red Hot Hearts Quilt. Grab a Jelly Roll and a Layer Cake and maybe even a Charm Pack and get quilting! The bonus project puts together everything you’ve learned in the class. You’ll have great fun working with Precuts and have confidence knowing that the fabrics coordinate perfectly on your scrappy wall or baby quilt. You’ll also learn two fun techniques: raw-edge applique and strip piecing. In addition there are a number of printable PDF bonus materials that will help you as you work on your next precut project. NOTE: You’ll receive this Class video instruction in two forms: As on-demand streaming video (in your NQC Account); and as a physical DVD, mailed to you. ZJ Humbach is a professional longarm quilter and pattern designer who owns and operates Dream Stitcher Quilt Studio in Nederland, Colorado. 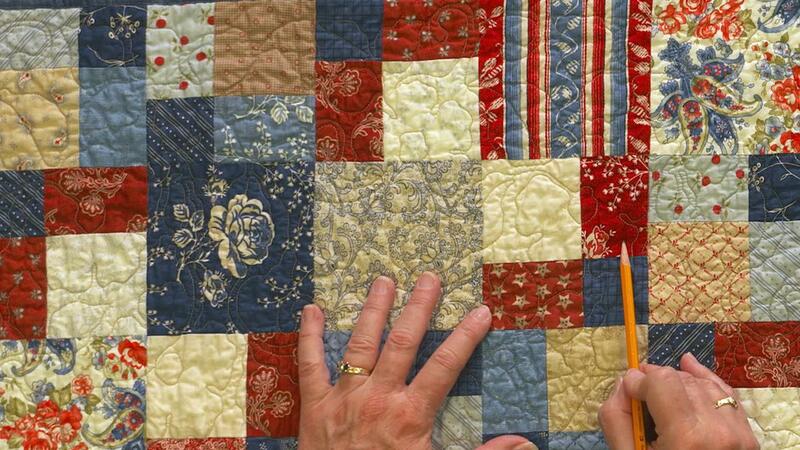 Her work appears in McCall’s Quilting, Quilters Newsletter, and Quiltmaker magazines. A former Quilters Newsletter editor, she wrote a longarm quilting column, “Finish Line,” for each issue. Now ZJ is a freelance writer for Quilters Newsletter and the Studio Arts Quilt Associates (SAQA) Journal. She also quilts regularly for Connecting Threads. ZJ has enjoyed machine sewing since age 12. She has a strong educational background in clothing construction, tailoring, and interior design plus a Master of Arts Teaching degree with an emphasis on curriculum development and adult education. Q: Do I have to be a Member of National Quilters Circle to purchase a Class? A: No you don’t. While Premium Members will receive regular offers for special deals on NQC content, Classes are not reserved exclusively for Members. 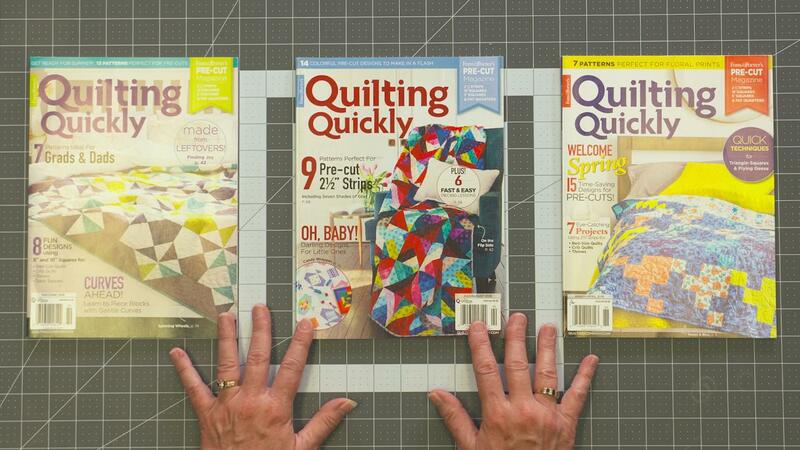 If you buy a Class as a non-member, we’re sure you’d also enjoy having access to our full library of great quilting videos and articles as a Member, so give it a try. Q: How do I contact National Quilters Circle? A: If your question is about the Class content, please use the Class Discussion benefit to ask your question online – and you'll receive feedback from the Class Instructor. Even your fellow Class participants may jump in to offer tips and advice from their experience. If you have other questions or need help, you can email us at nationalquilterscircle@program-director.net or call us toll-free, at 1-855-253-0822. Service Representatives will be available Monday-Friday, from 8:00AM to 4:30 PM Central time, excluding normal holidays. Get ready to become product savvy in this class with ZJ Humbach. ZJ introduces you to the different types of precuts, how they work together and shares a class project for you to put your skills and knowledge to use. If you’re looking for a fast, fun way to make stunning quilts, then look no further than precuts for a perfectly coordinated, time saving option. 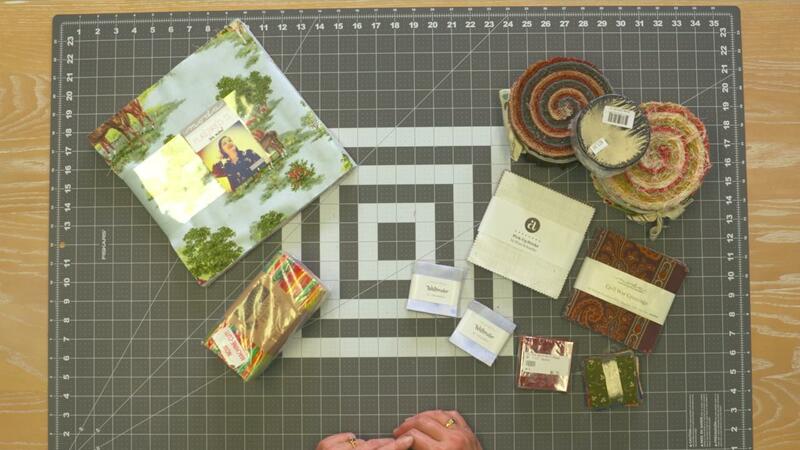 Learn what precuts are, what advantages they offer, and how to make your own. Precuts, while fun, come with their own special considerations. Learn which ones play nicely together and which ones don’t, and some effective work around solutions. Work smarter, not harder! 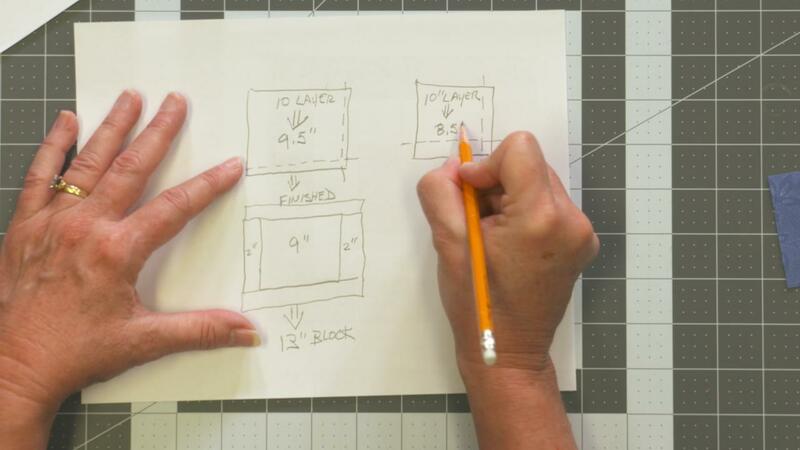 Learn how Precuts can save oodles of time when you are working from patterns in books or magazines that are designed for yardage or fat quarters. Precuts are fun but can also be intimidating. Get loads of instant inspiration with a magazine that’s dedicated to Precuts and some additional books that are must-have library additions. Let’s get quilting! The bonus project puts together everything you’ve learned in the video. Have fun working with Precuts and learn two fun techniques: raw-edge applique and strip piecing.